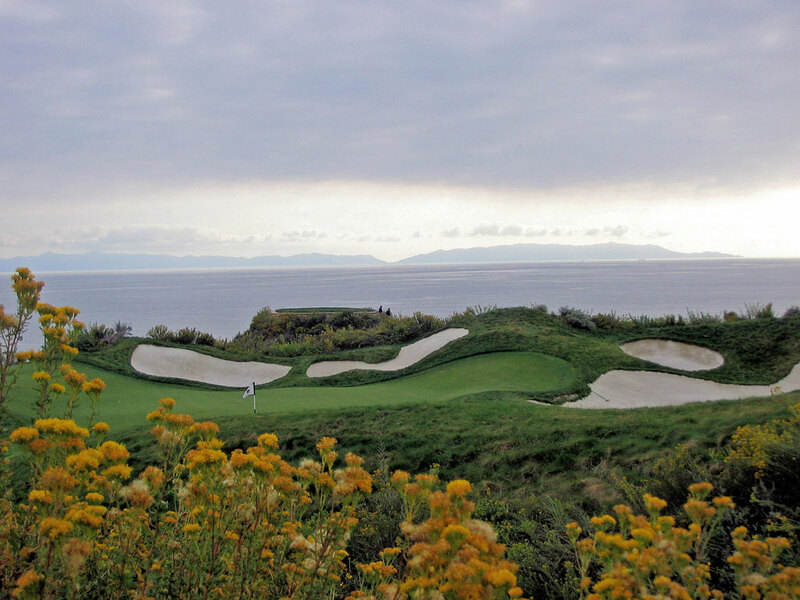 Course Website: Official Website - Visit Trump National Golf Club Los Angeles's official website by clicking on the link provided. 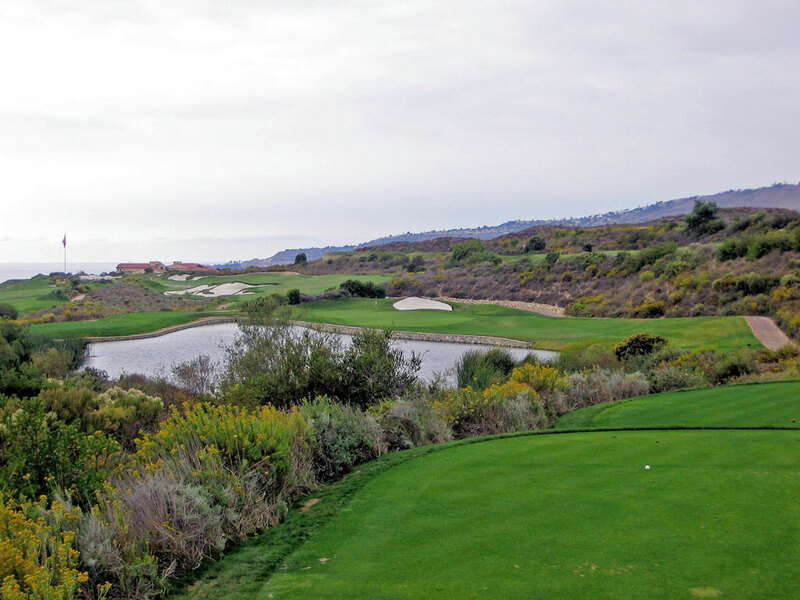 Accolades: Ranked 30th in California on Golf Course Gurus' Best in State list. 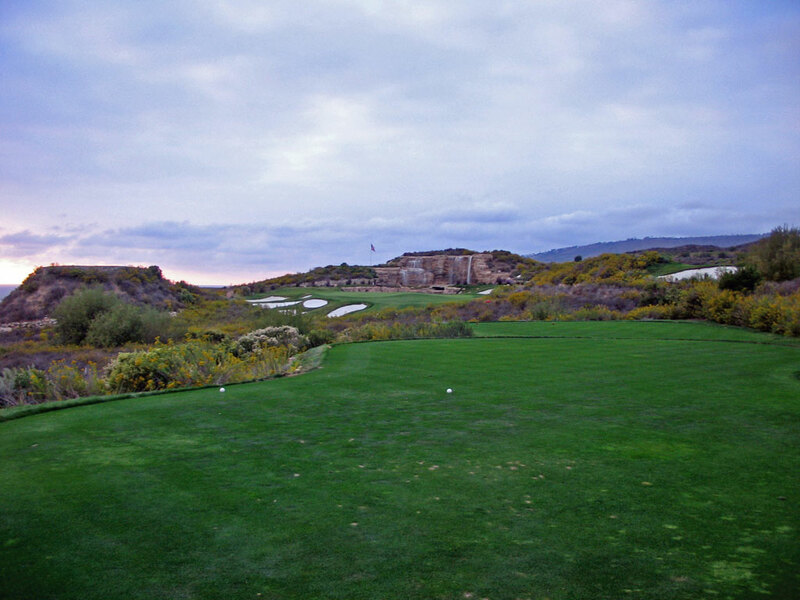 What to Expect: Trump National Los Angeles sports a 45,000 square foot clubhouse and a lush service experience. The front nine is quite tight while the back nine opens up more. 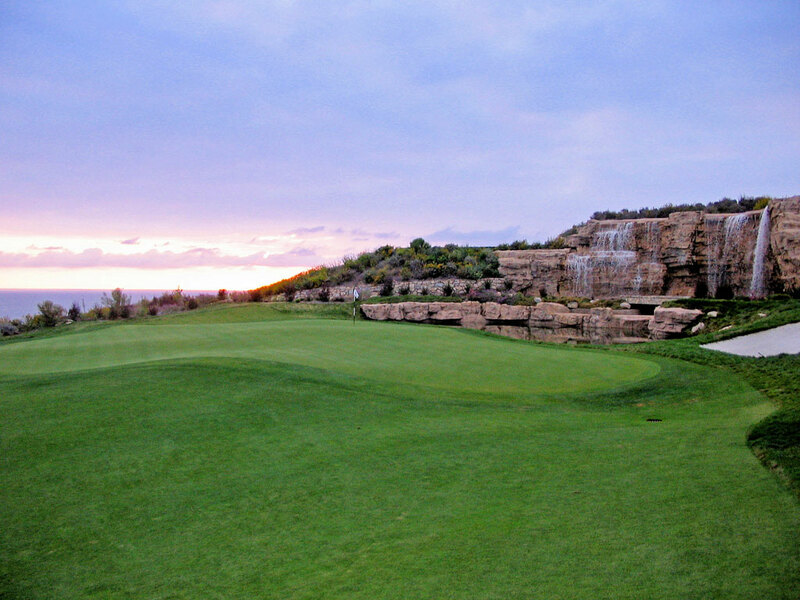 Ocean views are found from every hole on the course and in classic Trump style you'll find a few waterfalls on the course. It is very clear what Mr. Trump and Fazio have tinkered with on the design and what features were apart of Pete Dye's original design. 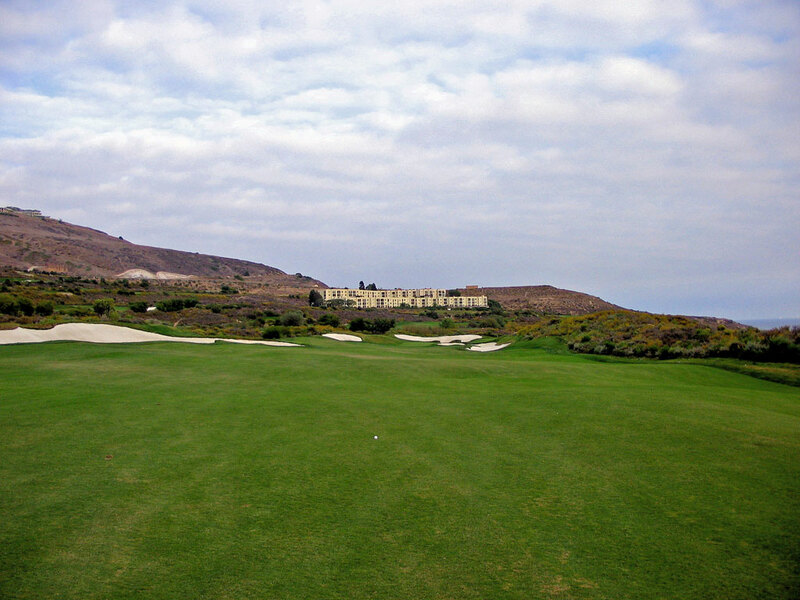 At over 7300 yards and a par 71 at sea level, the course plays very long and difficult. 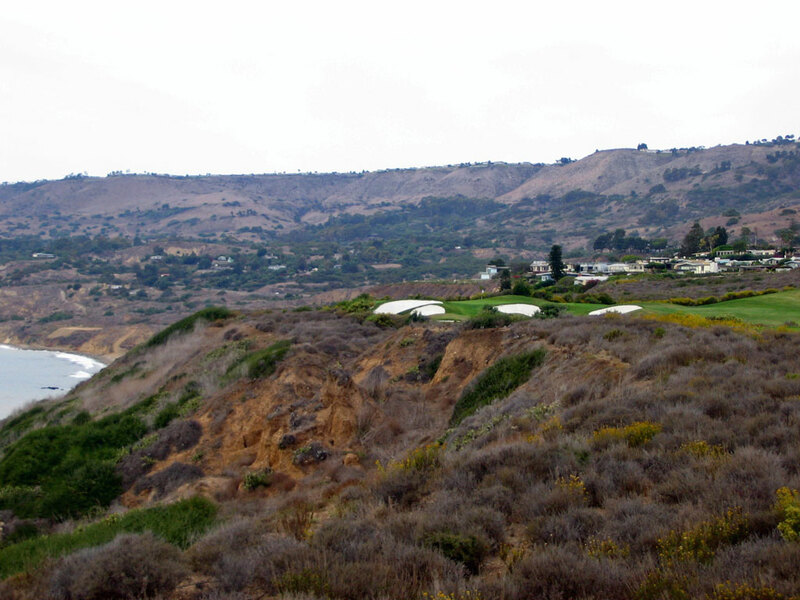 Trump National Los Angeles was the host site of Big Break VI. Signature Hole: 17th Hole – 238 Yard Par 3 – A towering waterfall cascades into a pond behind the green of this long and difficult par three with five bunkers lurking greenside. Best Par 3: 8th Hole – 241 Yards – The first of three par 3s over 235 yards is also the best with the green traveling away from the golfer along the water hazard that protects the left side of the hole. 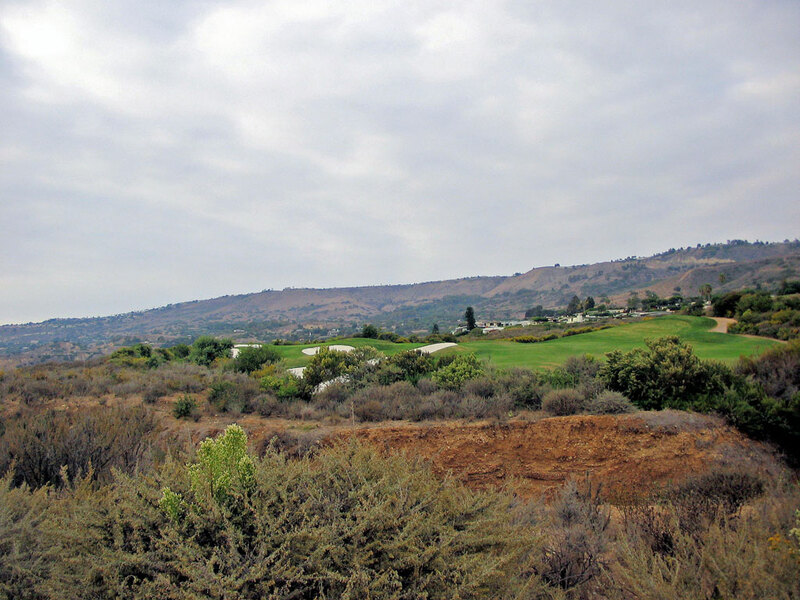 Best Par 4: 10th Hole – 400 Yards – A barranca runs across the fairway and causes the golfer to decide between trying to bomb his blind tee shot over the barranca or to lay up in front of it. 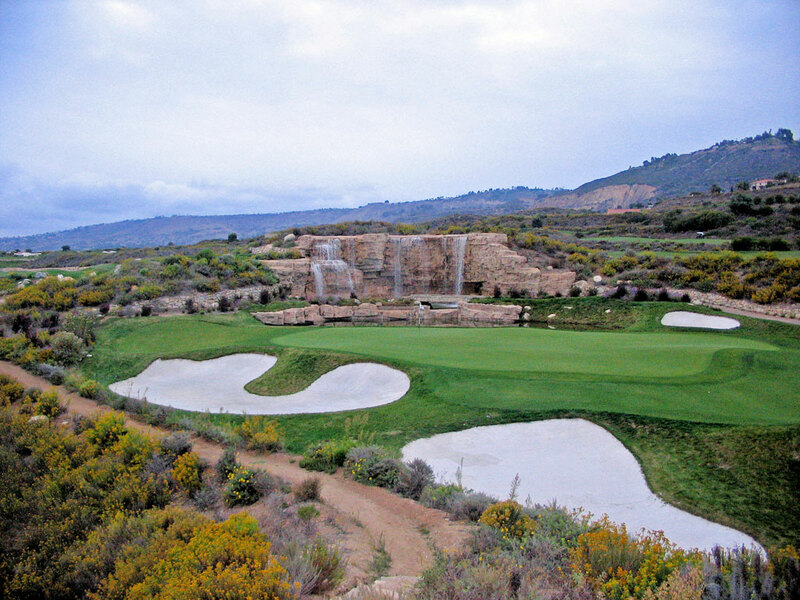 The approach is to a cliff side green is protected across the front with five brilliant white bunkers. Best Par 5: 12th Hole – 540 Yards – The only feature that makes this the best par five of the course is the wildly redesigned green. Your golf ball will feel like it has spent the afternoon at an amusement park ones it finds the putting surface or has to be played out of one of the near vertical bunkers. Birdie Time: 2nd Hole – 540 Yard Par 5 – At 540 yards and generally downwind, the par five 2nd hole with its wide fairway and inviting green make it a prime candidate to go under par. 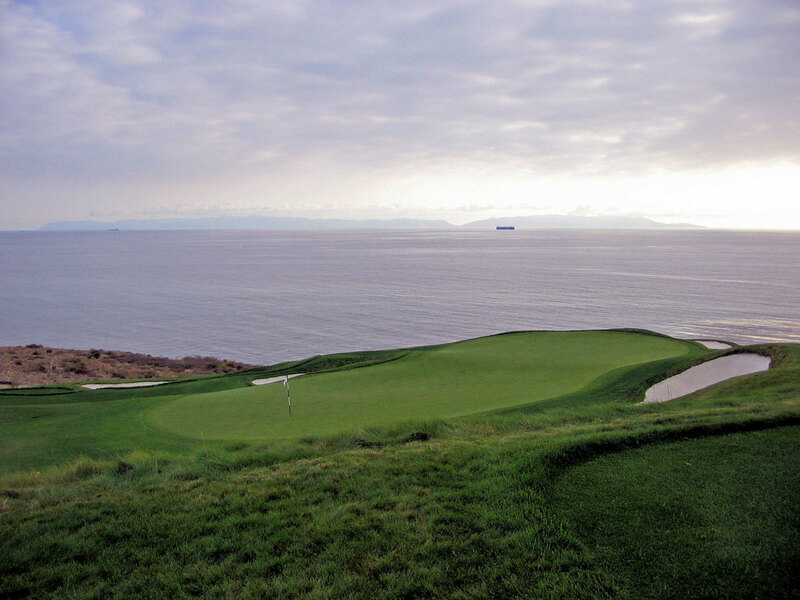 Bogey Beware: 18th Hole – 512 Yard Par 4 – Another Trump redesign after paying millions of dollars to rebuild the 18th hole after it fell into the ocean, this brutal 512 yard par four plays into the prevailing wind and is peppered with 14 bunkers throughout the hole.